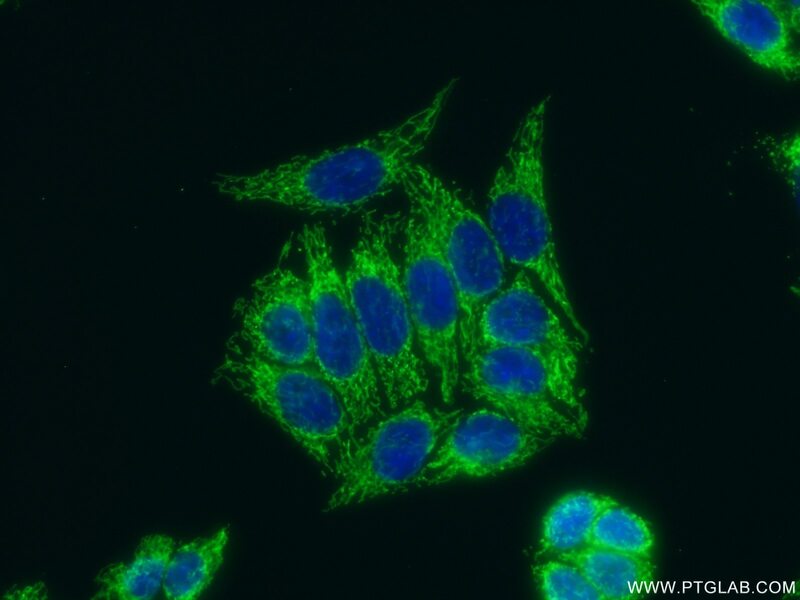 IP Result of anti-ATPIF1 (IP:12067-1-AP, 4ug; Detection:12067-1-AP 1:500) with HeLa cells lysate 3440ug. The H(+)-ATP synthase is a reversible engine of mitochondria that synthesizes or hydrolyzes ATP upon changes in cell physiology. ATP synthase dysfunction is involved in the onset and progression of diverse human pathologies. 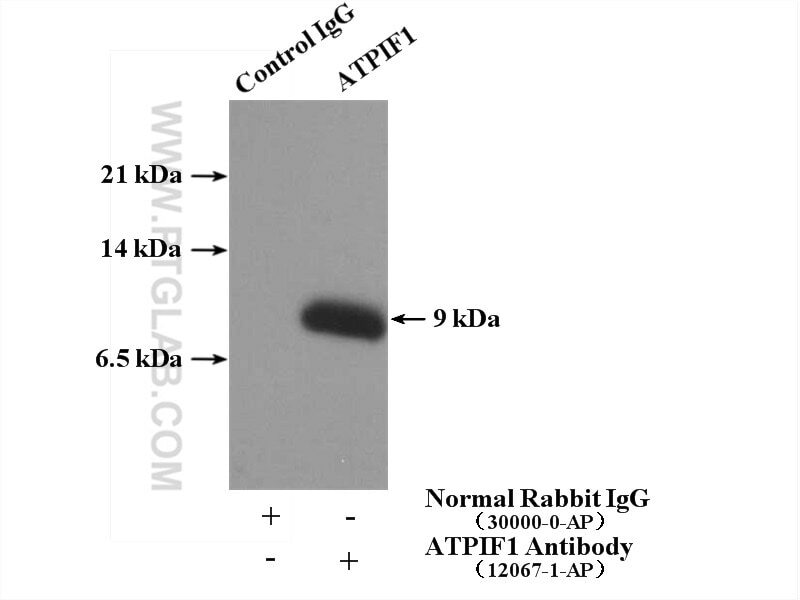 ATPIF1 gene encodes mitochondrial ATPase Inhibitory Factor 1 (IF1), also named ATPI, ATPIP or IP. Endogenous IF1 limits ATP depletion when the mitochondrial membrane potential falls below a threshold and the ATP synthase starts hydrolyzing ATP to pump protons out of the mitochondrial matrix. Mitochondrial content of IF1 controls the activity of oxidative phosphorylation mediating the shift of cancer cells to an enhanced aerobic glycolysis, thus supporting an oncogenic role of IF1 in cancer. The compound BTB06584 is an IF1 -dependent selective inhibitor of the mitochondrial F1 Fo-ATPase. F1F0-ATP Synthase Inhibitory Factor 1 in the Normal Pancreas and in Pancreatic Ductal Adenocarcinoma: Effects on Bioenergetics, Invasion and Proliferation.